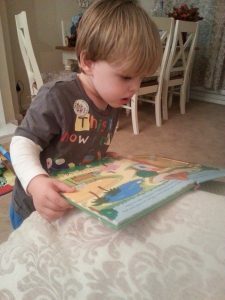 There are constant educational debates about children’s reading, from best methods to learn, to best titles to choose. 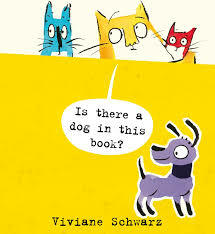 Children’s bookselling is a better avenue for my vigorous education in and devotion to children’s literature. However, I leapt into action when a message appeared on social media asking for advice as to why reading for pleasure is essential. A new Headteacher had determined to remove it from the messenger’s school timetable. Children who read for pleasure are at an advantage over their peers, all evidence proves. From academic results, social interaction, self esteem and employment opportunities, reading for pleasure enables. Reading for pleasure improves children’s mental health. 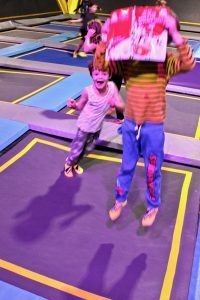 Mental wellbeing in reading children is three times better than their peers, states research from the National Literacy Trust:- The effects of reading on mental health well being. Reading reduces stress levels by 60%. Levels of empathy improve through reading fiction. Readers who continue to read into later life demonstrate a mental decline 32% lower than their contemporaries. The benefits of reading for pleasure are measurable by scientists, but immeasurable to the reader. Babies and infants offered opportunities to share stories have a head start. 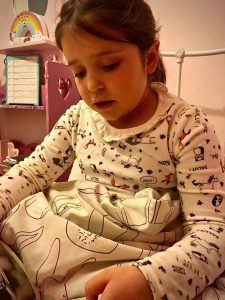 Educators around Britain are concerned at recent research revealing the declining literacy skills in 4-8 year olds. Many nurseries and Reception classes report children arriving at their premises unable to create full sentences. This inadequacy threatens their academic and social progress inexorably. Children who share stories from an early age build vocabulary and engage in spoken sentences. They participate in rhyme. They realise how stories are formed. Stories give these emergent readers sound starting points. 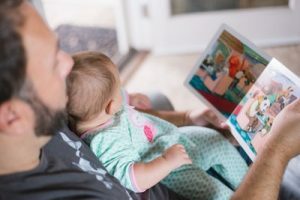 Picture books offer context, and suggest opportunities to question and connect. 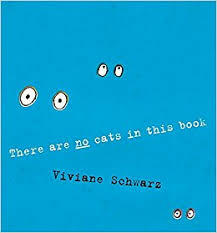 Readers are invited to hide, seek, play and question in Vivienne Schwarz’s There Are Cats in this Book, its companion piece There are NO cats in this book and Is There a Dog in This Book? These books are adventurous, engaging and ready to share. 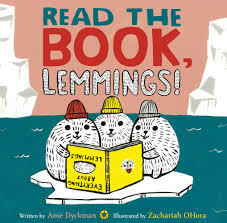 Young readers building experience will enjoy the frustration and message offered in Baabwaa & Wooliam and Read the Book, Lemmings! 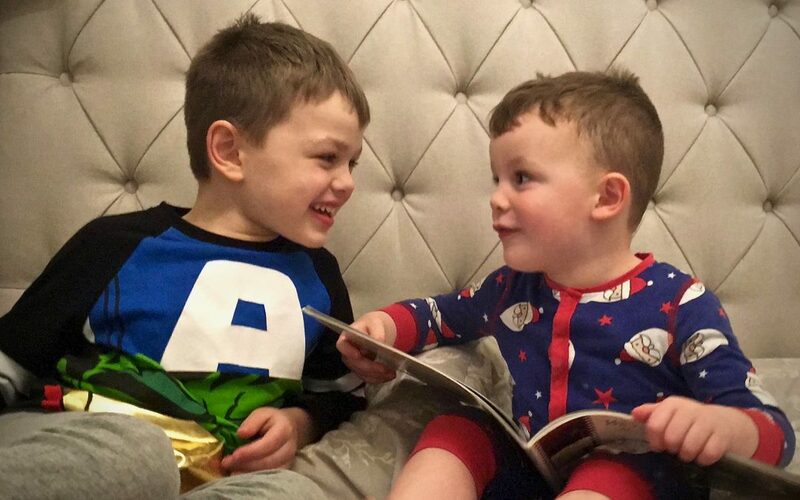 Such readers realise the value of reading through bonding, modelling, and their security in the benefits of reading for pleasure. 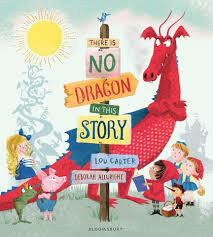 Familiarity with stories suggests young readers will love There is No Dragon in This Story. Can Dragon ever be the hero? Will every story book depict him the same way? I feel vulnerable without a book. It is a constant friend. 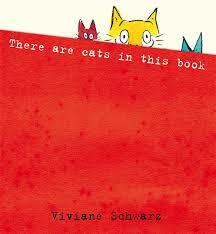 My mother passed me a book when I was very young, constantly. I had a very adult- overladen childhood, through which books were my shelter and escape. Such escapism helped me connect as well as disappear. i had something to share and a source of wonder and comfort. 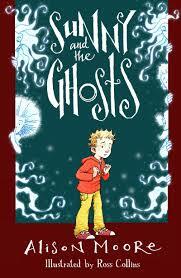 Sunny helps the ghosts who live in his parents’ Devon antique shop in Sunny and the Ghosts. He arranges piano lessons and offers ways for them to escape their confines. He helps one of the ghosts to read. Sunny recognises that reading is an escape for everyone. 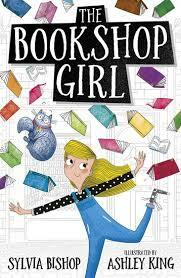 Property Jones is ashamed to reveal her deepest secret to her family in The Bookshop Girl. She lives with the benefits of reading for pleasure, and longs to engage. Tilly engages completely. 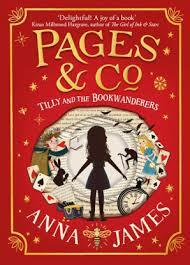 She connects in an way that offers complete, and dangerous, escape, in the inspiring Pages & Co Tilly and the Book Wanderers. A couple of my book group subscribe to this blog. 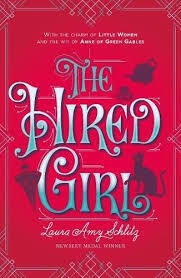 Since establishing Bookwagon, I have fallen by the wayside of reading adult books. I feel guilty about this at each meeting. The group shares its reading experiences, offering how the books make them feel. I am engaged and inspired by this discussion. 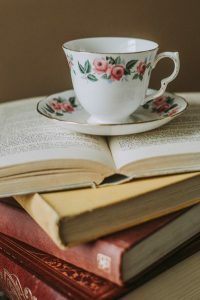 Talking about books I’ve read and have in common with other readers connects and empowers me. 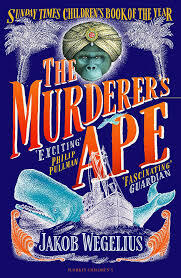 Sally Jones, the protagonist of the magnificent The Murderer’s Ape reads. She realises that reading will help her understand what it is to be a human. 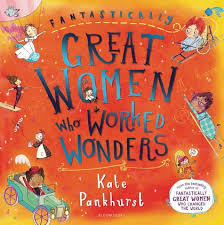 Reading was a foundation to each woman selected in Kate Pankhurst’s Fantastically Great Women Who Worked Wonders. These trailblazing women overcame odds and obstacles to learn, share and discover. 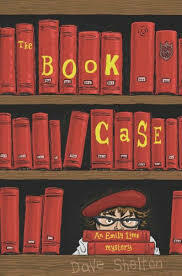 There is a deeper story beyond the side-aching comedy of The Book Case An Emily Lime Mystery. What are the reasons that Daphne Blakeway been deposited to St Rita’s so ruthlessly? Who is vandalising and thieving school library books? Books offer clues, companionship and connection in Dave Shelton’s absorbing mystery. Bookwagon welcomes new publishing house Scallywag Press aboard. 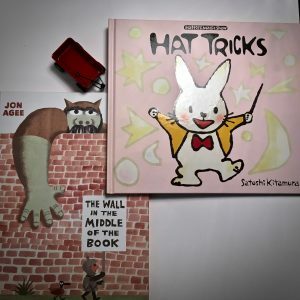 It offers two magnificent titles in Hat Tricks by the acclaimed Satoshi Kitamura and The Wall in the Middle of the Book. It seems natural to read the second, a clever title by Jon Agee, and consider a certain 2016 US election pledge. 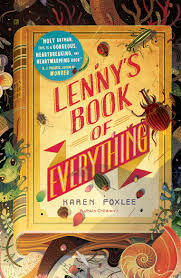 Readers of all ages will seek to reread, consider and discuss the story within the story. In a battered hat box, Semira discovers Henrietta’s diary. Both girls are trapped for different reasons, in different times and settings. Yet a sympathetic connection, through frustration and fear, ignites courage and possibility. I was absorbed and moved by Gill Lewis’s The Closest Thing to Flying. Mr Ponzio is called upon to help Harold Snipperpot who has never had a birthday party. Yet his parents’ relationship that has left this young boy ‘extra sad’. 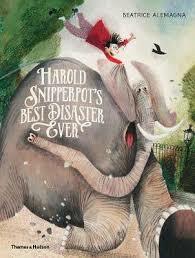 What Mr Ponzio arranges becomes Harold Snipperpot’s Best Disaster Ever by Beatrice Alemagna.